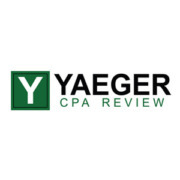 Becker CPA Review Course [April 2019 UPDATE] Read Before Buying! Becker CPA Review is a very popular review course for students wanting to become a CPA. Even though Becker is one of the more expensive courses on the CPA review course market, it can provide you with a thorough study plan that will help you pass the CPA. What’s especially impressive about Becker CPA Review is that it’s one of the only CPA exam review companies that offer live classes. This premium course is extremely comprehensive and has all sorts of tools that will prepare you for this notorious exam. The Becker course notes are thorough and provide all the information you could possibly need to know. Furthermore, your course comes with concise concepts, cutting down the information to what is actually tested on the exams. Your Becker CPA Review course comes with two full practice exams for each section, more than 6,000 multiple choice questions, and nearly 300 task-based simulations. Much of the learning material is interconnected, with answer descriptions for these practice questions providing direct links to sections in their lectures and eBooks. There’s 100 hours of instruction from CPAs, attorneys, and exam experts that focus on helping you understand accounting concepts that you will encounter on the CPA exam. Becker does an excellent job at building on your existing accounting knowledge. That is why Becker is a great CPA exam prep course for students that are just coming out of college and need basic knowledge for most of the material. If you need a lot of in-depth explanations and don’t have that foundational knowledge, then you can utilize Becker’s unlimited academic support tool. As a newly graduated student, this is an excellent CPA review course option for you. FAR is known as the hardest section to pass on the CPA exam. If you already know that you are going to need some extra help, Becker could be the course for you. You can purchase supplemental FAR study material, including video lectures and mock exams, to help you feel more confident to pass the upcoming exam. You can also buy an extra 1,400 flashcards (online or print), 50 supplemental multiple choice questions per each section and the Final Review. Becker’s multimedia online format gives you some freedom to study at your own pace without deadlines. This is a nice option if you are still in school or busy with a fulltime job. Its Study Roadmap and Study Planner are tools that can help you along the way if you’re in these situations; it shows you exactly what to study and how much time to spend on each topic. Furthermore, the Study Planner helps you to create a customized study plan based on your schedule and study habits. Becker is one of the only CPA review courses that also offers Live courses. Even though the live instructors aren’t the greatest, it’s nice to have the option if you prefer an in-person study plan. If you want a live classroom experience, but don’t want to leave the comfort of your home, you can choose the Live Online CPA Review Course with Becker. These courses are made to give you guidance wherever you chose to study. Regardless of which option you choose, however, you can rest assured that you will be receiving the same level of educational excellence! Becker has 0% interest financing options for those that need it. At just over $3,300 for a full course, Becker is one of the most expensive options for CPA test prep. If you are on a tight budget, you may want to check out some other courses. But if you’re set on Becker and its stellar reputation, check out its financing options and discounts to help ease the strain on your wallet. Becker has three main ways for you to study: Self-Study, Live Online Classes, and Live Classes. This should only be an issue for a small portion of students who appreciate learning through audio recordings of lectures. If you are one of these individuals who appreciates listening to educational content while commuting or exercising, you will want to look into additional learning material or seek a different course entirely. I would suggest Becker’s online review course if you have the funds to afford it. This course will certainly give you everything you need and more to pass the CPA exam. With Becker’s history, popularity, and excellent reputation, you will know that you are in good hands for passing the CPA Exam. So… Are you ready to start studying? Get the Becker CPA Bundle Review for a LIMITED TIME! Get the Becker CPA 4-part review discount for a LIMITED TIME!